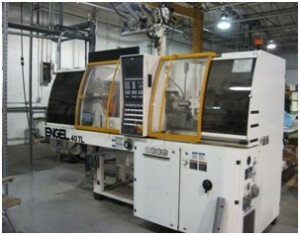 RAM Inc. specializes in the precision molding of high performance thermoplastic and thermoset molded components. Our Engineering, Molding, and Machining experience allows us to assist our customers in developing component geometries that improve manufacturability and reduce cost. We process products using a wide variety of filler materials including Glass Fiber, Glass Bead, Carbon Fiber, Cotton Fiber, and Carbon Nanotubes. RAM’s Molding Department has 12 mold machines ranging in size from 20 ton semi-automatic machines to 750 ton fully automatic machines. We can mold shot sizes up to 221.27 CU. IN. Our mold machines have been specifically configured to mold high performance materials such as PEEK (PolyEtherEtherKetone), PEI (Polyetherimide), PPS (Polyphenylene Sulfide), PPA (Polyphthalamide), and LCP (Liquid Crystal Polymer). RAM has significant precision compression molding experience. 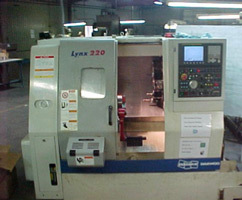 We mold many types and grades of materials. We have configured our mold machines to process Engineered Thermoset materials such as Sumitomo Bakelite EM 7302 (Epoxy Fiber Glass Filled), EM 7302 LD-2 (Low Density Epoxy Fiber Glass Filled), Cytec FM 9294 (Phenolic Cotton Fiber Filled), and other thermoset materials. RAM is equipped to manufacture Thermoform molded products. Our engineers design the tooling to form the part and develop the processes to ensure that the part conforms to customer requirements. Our Vacuum Forming capability includes tool design and fabrication of the single surface mold tools used in this molding process. Our vacuum forming equipment includes a Belovac vacuum forming machine which has variable ratio temperature controlled heating elements to provide component repeatability. 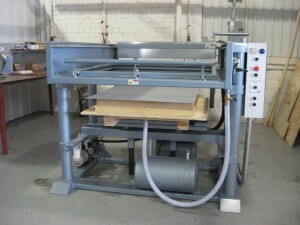 We are able to vacuum form components up to 42” x 42” in size. 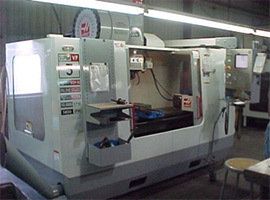 RAM also has a complete machining department which includes all equipment necessary to fabricate and build mold tooling. 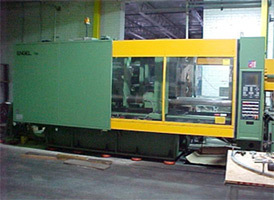 We provide post molding machining as required for precision tolerance control. The machining department has seven (7) CNC Vertical Milling Machines, two (2) CNC Lathes, two (2) Engine Lathes, and five (5) Manual Mills. Four of our vertical mills are fitted with 4th axis rotary tables. We also have an EDM plus a full complement of support equipment. RAM’s manufacturing areas are staffed by skilled operators that are focused on ensuring that their customers, both internally and externally, receive conforming components in a timely manner. RAM has implemented a program for continual training of employees on not only the operation of the equipment, but training on improving the quality performance of our products through the application of SPC control limits and scientific molding. We understand that quality can only be achieved through effective engineering, planning and process control. We apply process control tools such as Cp, Cpk, X-Bar & R charts, Histograms, and Pareto charts to establish control limits for our processes and evaluate the performance of our manufacturing. RAM’s success is based on customer satisfaction. With a history of manufacturing conforming parts to customer schedule RAM has become a preferred supplier to a wide group of prime customers in aerospace, defense, energy, and healthcare. We have been recognized as preferred supplier by many of our customers including Lockheed Martin, Bell Helicopter, GE Aerospace, Parker Aerospace, ITT Aerospace, BAE, Bombardier, and others.